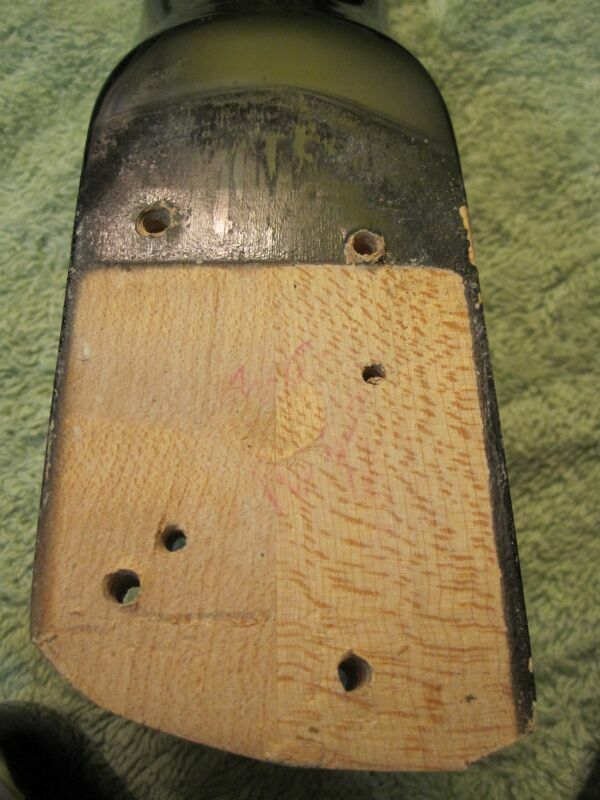 So, I finally got the gumption and took the neck off my Ventures model. I've been curious what the year of the instrument is - it was sold to me as a '66, and it's got all the features of a later Ventures model, but there are no stamps visible on the pots, so I figured I'd find an answer on a neck date stamp. And I found - no date stamp!?! The body has the same serial number stamped on it as the neck, and there's a signature in red ink "Shirley Rimi" or something like that. On the neck itself, there only seems to be traces of the red ink from the body. 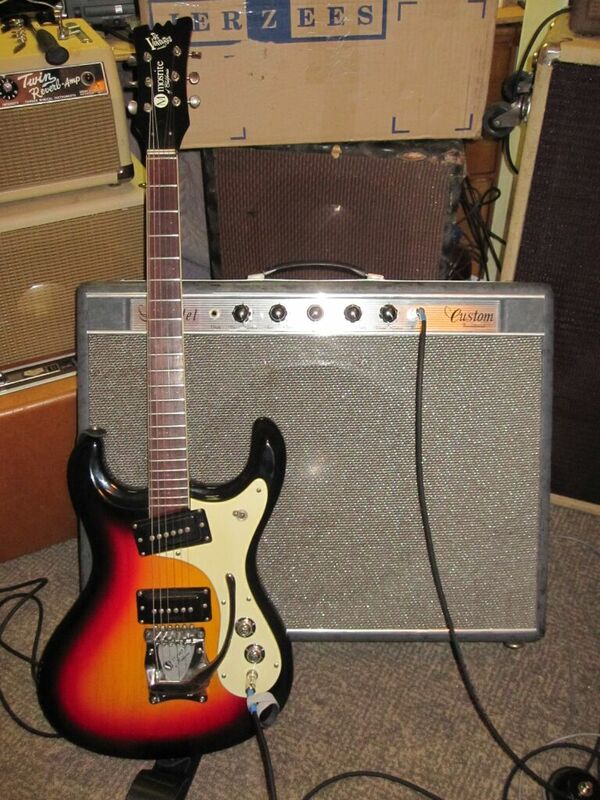 Has anyone seen this on another Mosrite? Who's Shirley? Re: Neck / body stamps? 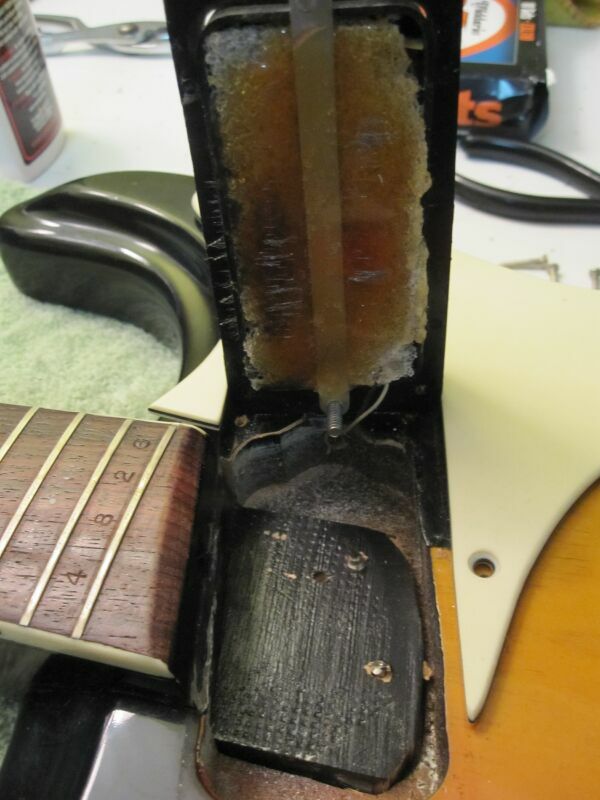 Try looking in the other pickup cavity. 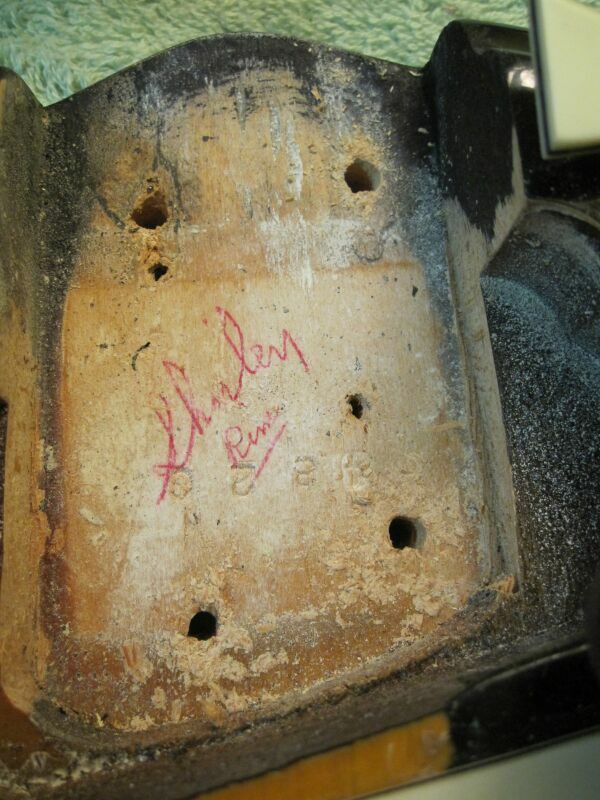 My '65 has the date stamped in the place where the signature is in yours. What about the pot codes??? Mine are covered in solder and yours maybe also. 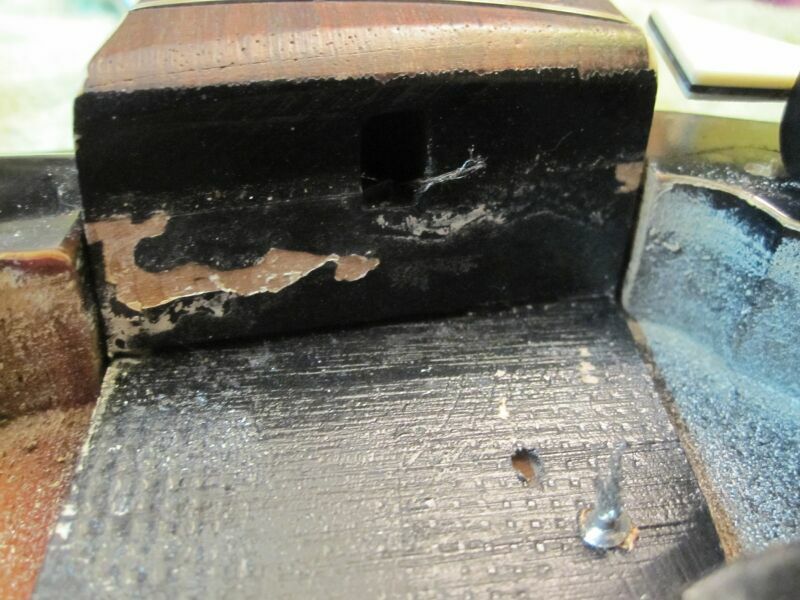 Over the weekend I had the chance to look in the bridge pickup cavity - no markings there. Also, there are no stamps on the sides of the potentiometers, and if they are stamped on the bottom, it's covered with solder. Maybe it was refinished? Do you have a picture of the entire guitar? And the "spun" Volume and Tone controls. As well as the early Half/Semi circle zero nut. Lastly I am attaching a photo of the whole guitar, any thoughts, comments or information would be greatly appreciated. That is a very nice looking guitar! Interesting - beautiful guitar! I'm not sure about the extra digits on the SN; is there an SN stamp on the body? Given that these were hand stamped I imagine it was possible to accidentally repeat an SN, in which case adding digits to the beginning and end would be the most aesthetically pleasing way to fix it. Nice to know that mine isn't the only one without a date stamp! and some don't why I do not know? Pots should have a code on the side, you have to clean them real good to see the stamps. Greg's guitars offering a fine eclectic selection of Fretted electric,acoustic bass guitars,amps and parts worldwide.